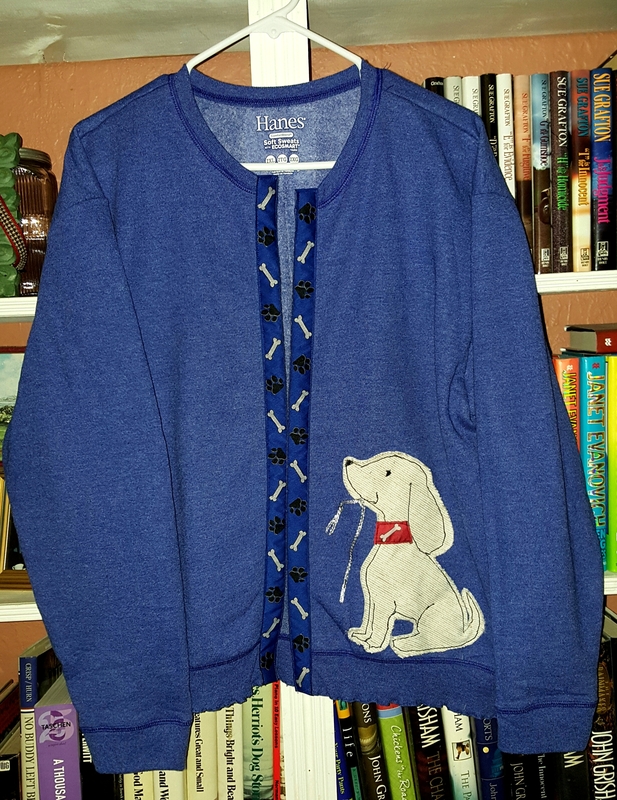 Converting a Plain Sweatshirt into an Adorable Jacket | "A Place for Learning"
I just finished converting a sweatshirt into this cute jacket. It’s really pretty easy to do. And we will be offering a class soon at The Studio for anyone who wants to make their own. It’s fun to create something that represents your personality. Of course, mine had to have a dog!